Did you know Carl Sagan designed a game? This week, our partnership with Critical Distance brings us writing on witch folklore, the intimate language of games, and a lost design doc made by Carl Sagan. Skyrim draws heavily on witch folklore for its cast of magic users who are women, though they exist primarily in side quests and as faceless antagonists. An issue with any open world game produced on the AAA level is that deadlines and the sheer size of the game leave many elements feeling either too formulaic or unsatisfactorily explored. Read Only Memories is a celebration of diversity and features many LGBTQIA+ characters. You work with a detective who is your sister’s ex-girlfriend, two street punks are hinted as being boyfriends, and a character who flaunts a big moustache and a beard uses she/her pronouns. Every character’s sexual and gender identity is not made completely obvious and, more importantly, it does not define their character. I was told that I’d get ahead in the company by sleeping my way to the top, and it turned out that rejecting at least one advance definitely affected my ability to get ahead. Additionally, I had to deal with receiving inappropriate comments, and, afraid of being flagged as unprofessional, I silently dealt with the fact that an ex-boyfriend working in the same office told me he counted how many times a day he passed my desk without me seeing him. In the end, I felt lucky that I didn’t have to deal with inappropriate touching or overt demands. As people who’ve been playing videogames for a good chunk of our lives, it’s easy for us to forget just how intimidating they can be for outsiders. I’m not talking the subject matter, either (although that can be a problem), but just the fundamental act of playing a game. The modern controller has two clickable analog sticks, four face buttons, four triggers at least, a d-pad and extra buttons for functions like pausing or bringing up a home menu, and the modern game routinely expects you to take advantage of most if not all of these features. Trying to get these people to play a PC game isn’t much easier, and just serves to remind us that these devices weren’t actually invented to play videogames, and that we’ve essentially had to hack the existing setup to make it work. 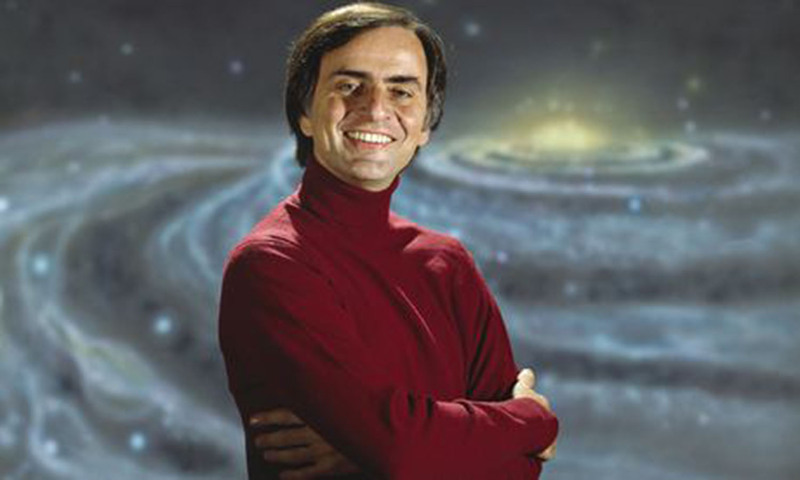 And finally, did you know that the late astronomer Carl Sagan, who would have been 81 on Nov. 9, dabbled in game design? Here's Alex Wawro discussing “a rough design document” Sagan developed for a videogame version of his novel Contact (which was also adapted as a criminally underrated movie -ed).